It’s a perfect day for enjoying our beer garden. If you’re short on time, stop by for a couple of crowlers and take them with you. If you have time to relax, try all six of our beers on this sweet flight! Recently, I hiked thousands of feet and several miles at Big Bend National Park. Walking long distances in nature, whether uphill or downhill, is one of my favorite things, made all the more better by the sparse desert of mesas surrounding me. When finished walking, nothing is better than sitting down with a cold beer. Nothing. What makes the best post-hike beer? Hard to say. My wife prefers a hoppy double IPA, something to jolt her senses. I'm more about crisp and cold highlights, which would indicate I want a pilsner, but then I also want some hoppy or roasted notes. We really could go anywhere here. It's best yet when a brewery understands the needs of wary hikers. 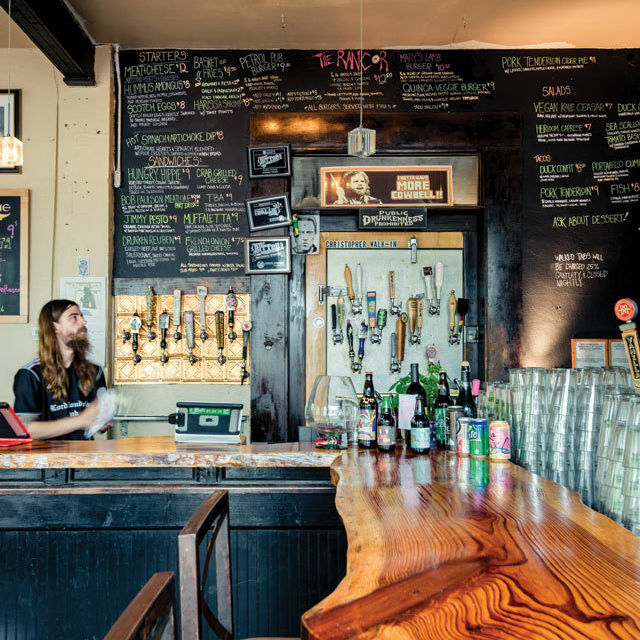 A few breweries put or allude to hiking in their name (Zero Day in Pennsylvania, Long Trail in Vermont, Lost Hiker in New Mexico), and their offerings typically emphasize the kinds of flavors adventurers crave after expending much of their energy outdoors. You can add a Houston brewery to this list: Walking Stick. Located in what we may want to call Beer Alley—the stretch of Wakefield Street in Garden Oaks/Oak Forest that also includes Great Heights Brewing, Petrol Station, and Wakefield Crowbar—Walking Stick doubles down on hiking. Co-owner and head brewer Andy Dunn grew up in Colorado, which meant plenty of opportunities to scale tremendous peaks (the 53 highest are called 14ers, as they're all over 14,000 feet in elevation). He also spent a lot of time in the U.K., gaining an appreciation for pub culture, which is fueled by lower alcohol beers meant for downing with friends. 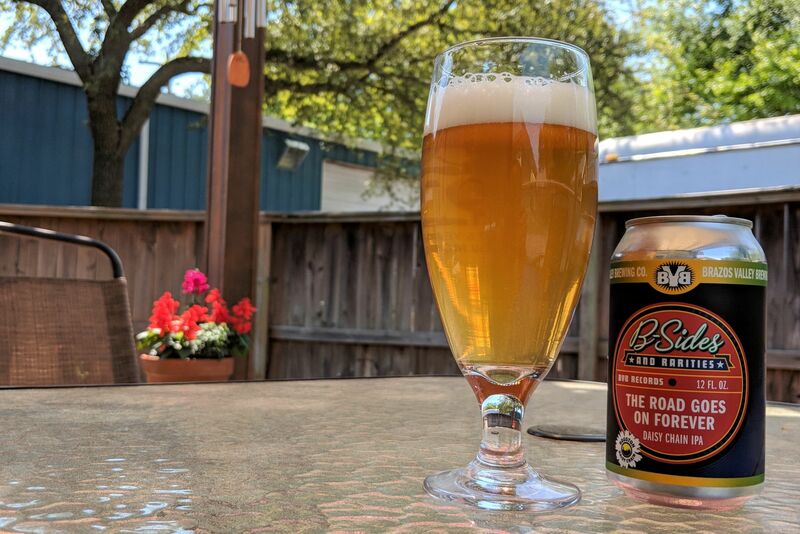 Thus, Walking Stick offers a variety of sessionable suds that work pretty darn well after a long hike (or walk, or bike ride, or whatever you do to stay active in Houston). My favorite of these beers, at least to this point, is Massive Brown Porter. 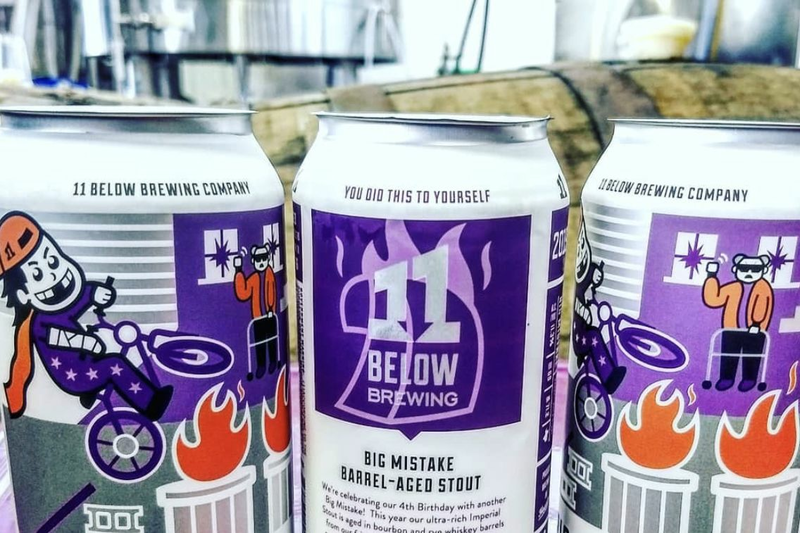 Don't be fooled by the name—this isn't a high-ABV bomb, but it's named for one of those 14ers in Colorado (Mount Massive is 14,428 feet high). Massive has just a 5.4 percent ABV, but within that is a punch of toasted malt flavor. As that subsides it lacks a heavy base, leaning a little too yeasty, but if anything the balance is thrown off slightly. I'd definitely get this in a pitcher (or growler, as Walking Stick does $20 fills) and share with friends. It's easy to drink, has good flavors, and is a nice representation of the mild British porter style. Walking Stick has a cute outdoor beer garden, though it plans on transitioning to a more indoor presence down the line. Get there when it's warm and enjoy a couple of these beers. 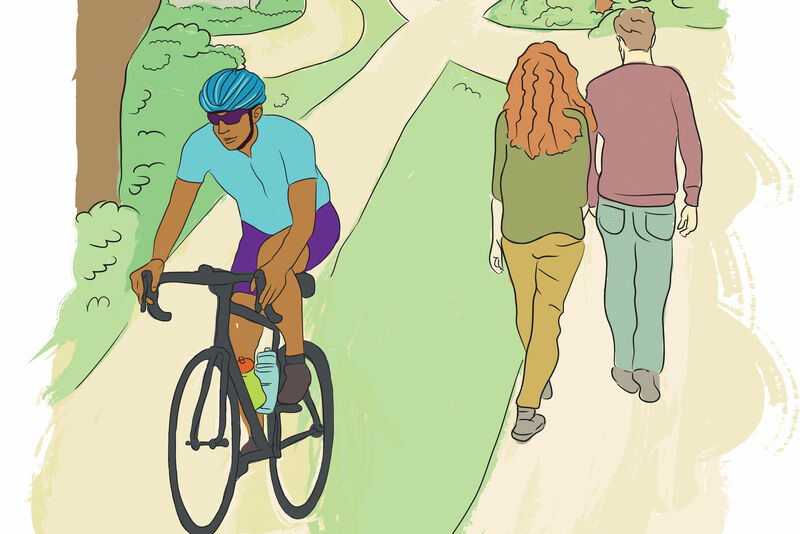 Maybe walk to get there—trust me, you'll enjoy the reward even more.